Wednesday, 17th May, 6.30pm–8.30pm at the Caulfield RSL, 4 St. Georges Road, Elsternwick. As we have pointed out many times, this is an opportunity for residents to assess and comment upon the Structure Planning work currently being undertaken by Council. It’s about how Council is planning for the expected future developments in the centre and Council’s proposals for ensuring that the Carnegie Centre continues as a safe, socially and economically viable Centre that is readily accessible to all. If you want a say in what can/should be built where and what basic needs (eg. open space, safety, traffic parking, neighbourhood character) Council should plan to provide for a burgeoning population then attend the forum. For those not aware, commencing next week, Council is holding Community Forums* on the preliminary results of the Structure Planning work being undertaken as a result of the 2015 Ministerial Directive for Glen Eira to review it’s planning scheme. 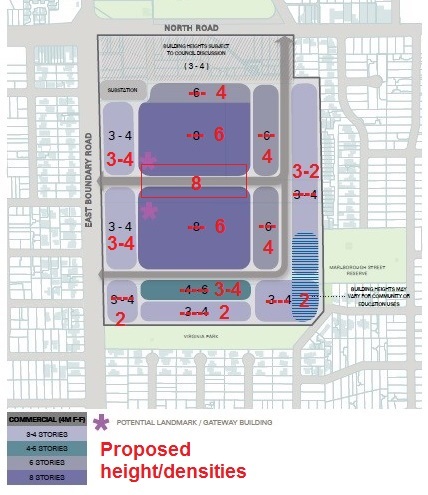 We urge all residents and interested parties to attend the forums – numbers count. The Structure Planning (first recommended by an Independent Planning Panel in 2003) currently being undertaken sets the requirements/standards for future developments in Glen Eira, ie what can built where (ie. locations, building uses, heights, footprint, setbacks etc.) . It also incorporates the myriad of related planning issues (eg. traffic, parking, open space, tree protection, heritage, drainage etc.) which fall within Council’s planning responsibilities. Flow on impacts (eg traffic & parking) for the surrounding areas (ie. the smaller activity centres and Neighbourhood Residential Zone). Now is the appropriate time for community involvement – the planning scheme requirements are being set. Once set, it is too late to object to planning permit applications that are in compliance with the requirements ( eg. those that have been approved for Carnegie and Bentleigh since the current zones were implemented in 2013). Below is an email which highlights some of the issues identified by the Centre Road Bentleigh Group (the Group can be contacted via email – centreroadbentleigh@gmail.com). GERA believes that many of the issues raised below are equally applicable to Carnegie, Elsternwick and Murrumbeena and that the residents of these areas may wish to add further concerns at the forums. There is no meaningful increase in open space and this is an issue with increasing development and also the general lack of open space in Glen Eira (lowest in Melbourne). It is proposed that the existing car parks are to be consolidated into a multi-storey with the remainder to potentially be converted into more residential developments. This is not acceptable (Stonnington for example are doing one underground car park and developing open space above). There is limited if any innovation or creativity in the plan. It is proposed that the library be relocated ($20M plus cost) however this was not identified as a need by residents. (perhaps Council wants to sell off the current library site for a major development?). There is no direction included for future development heights. In summary, we believe that more work needs to be done to deliver a plan that is consistent in quality with other local government areas. Please attend the community forum to again ensure Council clearly understands the views of residents. Numbers are important, please also forward this onto friends. Wednesday 3 May, 6.30pm–8.30pm at the Bentleigh Senior Citizens Centre, 2 Arthur Street, Bentleigh to further discuss this preliminary plan. The previously advised 24/5 Murrumbeena Structure Planning Community Forum appears to have been cancelled and has been replaced with a Structure Planning Forum for the East Village Development. Details of this Forum are provided below.